It’s me again! I have another piece, a small piece that I’m working on for an upcoming exhibition. Conditions: must be 8×8 inches in dimension. Exciting! Was inspired by those beautiful satsuma oranges that still have their stems and leaves. 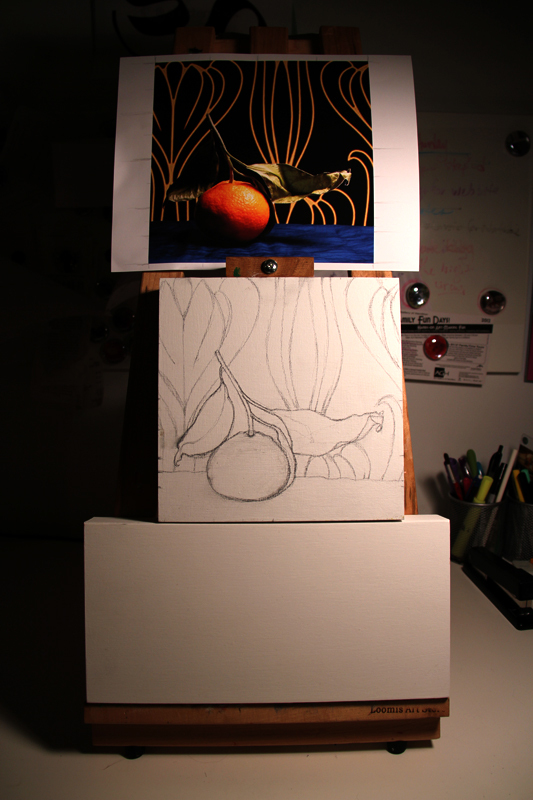 Had to take a pic and voila I think this will be a fun painting, plus I’m working gold paint into it! That’s right, gold. I have ALWAYS wanted to use gold paint in an oil painting so hopefully this attempt works! One Response to "Satsuma blues"
Ya you work that gold!